The Sony Cyber-shot® DSC-QX100 and DSC-QX10 are officially announced. 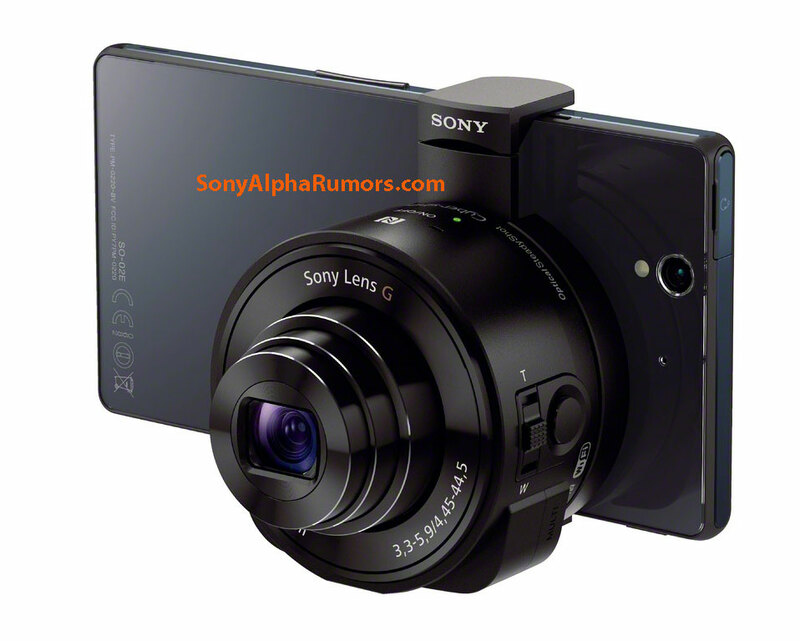 On Sept 4th Sony announced the new QX Lens-Style Cameras. I recently wrote about the anticipated announcement of these cameras and needless to say, following the official announcement, there’s considerable chatter on the web about them. While these products, the Cyber-shot® DSC-QX100 and DSC-QX10, contain nearly all the technology of a point and shoot camera, they will utilise a smartphone LCD screen as a pre-capture viewfinder and to subsequently display the image. They can be clipped on to compatible iOS or Android phones or held separate from them. The lens camera communicates with the smart phone using either NFC or WiFi and images can be saved to both the cameras storage and the smart phone storage. There’s a Sony developed app that’s used as an interface on you phone. The QX100 and the QX10 have built in censors, micro SD storage and optical zoom. You can upload you images to social networks using app on your phone. These new ‘lens-style cameras” are a new departure in point and shoot cameras and put greater flexibility and creative possibilities it the hands of those who have heretofore exclusively used their smart phones for casual photography. However, images captured on these cameras will not fall into the genre of iPhoneography as the phone’s camera sensor is not used in capturing the image. The Cyber-shot DSC-QX100 camera has a 1.0 inch, 20.2 MP Exmor® RCMOS sensor. This is the sensor found in the Cyber-shot RX100 II camera which has a reputation for exceptionally detailed, ultra-low noise images in all types of lighting conditions. IT also has a fast, wide aperture, Carl Zeiss® Vario-Sonnar T* lens with 3.6x optical zoom. It’s also capable of capturing HD video. Available colours – black only. The DSC-QX10 lens-camera has an 18.2 effective megapixel Exmor RCMOS sensor and also sports a versatile 10x optical zoom Sony lens, so, unlike many smartphones, this will allow image quality or resolution to be maintained while using the camera’s zoom. It has built-in Optical SteadyShot image stabilisation to reduce the effects of camera shake. The QX10 weighs in at less than 4 oz and measures approx. 2.5” x 2.5” x 1.3”. Available colours – black and white. The new Cyber-shot DSC-QX100 and DSC-QX10 lens-style cameras will be available later this month (Sept) in the US for about $500 and $250, respectively. They may take a little longer to appear on shelves in the EU. CNET have a more in-depth review and slide show that also discusses the pros and cons here.